The Ku-ring-gai Open Space Acquisition Strategy was prepared in support of Ku-ring-gai Council’s Section 94 Plan, with the specific aim of establishing a series of principles for acquisition of open space within the LGA. Based on these the Strategy then identified open space provision opportunities and priorities for acquisition that could be pursued to respond to increased residential population density. The strategy incorporated a review of the existing open space system and related issues. 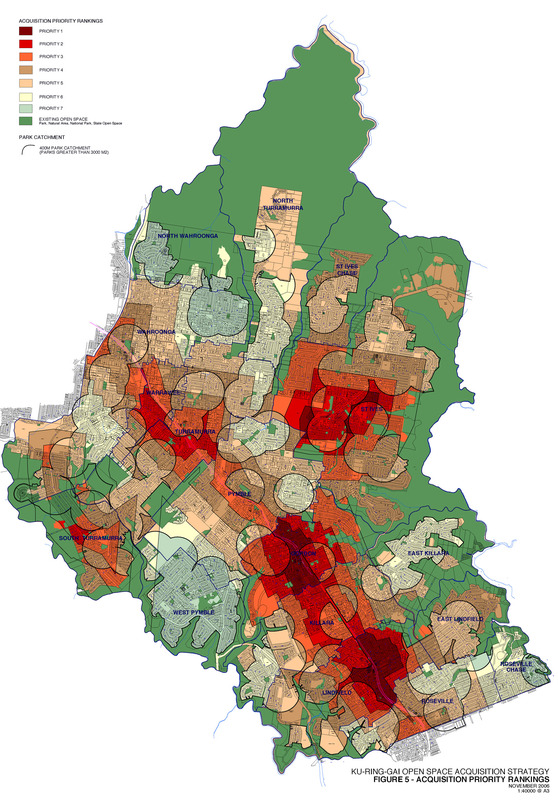 From appraisal of previous studies and projected demographics for new populations the study identified acquisition priorities based on future populations, and the availability of existing open space. Acquisition criteria and rationale were developed to assist Council in the assessment and ranking of potential acquisitions taking into account physical requirements for effective open space development and other values including heritage, carrying capacity and economic viability. More information on the Ku-Ring-Gai Open Space Acquisition Strategy can be found here. More of our work on Parks and Open Space can be found here.